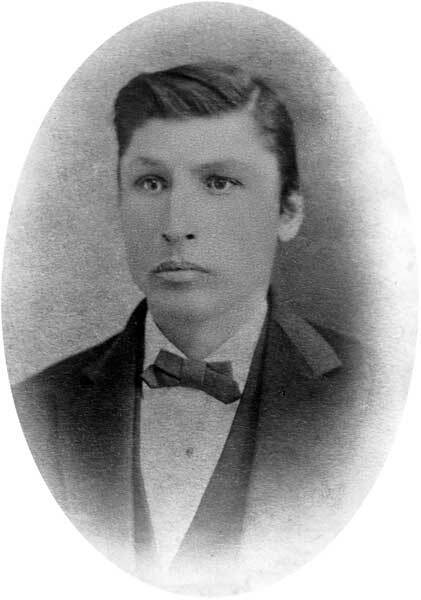 Métis leader, MLA (1871-1874), MLA (1878-1879). Born at Arthabaska Lake, NWT on 4 December 1844, son of Alfred Schmidt in the service of Hudson's Bay Company, by Marguerite L’Esperance, daughter of Alexis L’Esperance, he was educated at the Collége de Saint-Boniface and then sent (with Louis Riel and Daniel MacDougall) to Quebec for further education. Schmidt attended the College de Saint-Hyacinthe and returned to Red River in 1861. He was one of the members for St. Boniface at the Grand Convention held 25 January 1870 to take into consideration the admission of the Colony of Assiniboia as a Province in the Dominion of Canada. He was Secretary to the first Provisional Government organized in the Colony in 1869 and Under-Secretary to the second Provisional Government organized after the Grand Convention in 1870. He served as a member of the committee of six which prepared the Bill of Rights debated by the convention. He served as French secretary to the convention and as secretary in the provisional government. He was acclaimed to the first Manitoba Assembly, in December 1870, defeated in the December 1974 general election, and elected in December 1878. In 1872, he married Justine Laviolette (?-? ), daughter of Charles Laviolette of St. Francois Xavier. He served as a director of the Provincial Industrial and Agricultural Society of Manitoba (1872), a member of the Managing Committee of the Association St. Jean Baptiste de Manitoba and of the Societe de Colonisation de Manitoba, a School Trustee for the School District of St. Boniface West, and a License Commissioner for the Province of Manitoba. He later held an appointment in the land office at Prince Albert (now Saskatchewan), and he kept his distance from Louis Riel during the Rebellion of 1885. He died at St. Louis, Saskatchewan on 6 November 1935. A typescript of his memoirs is at the Archives of Manitoba.